One Week Today!!! Saturday 12th April- Don’t miss it! 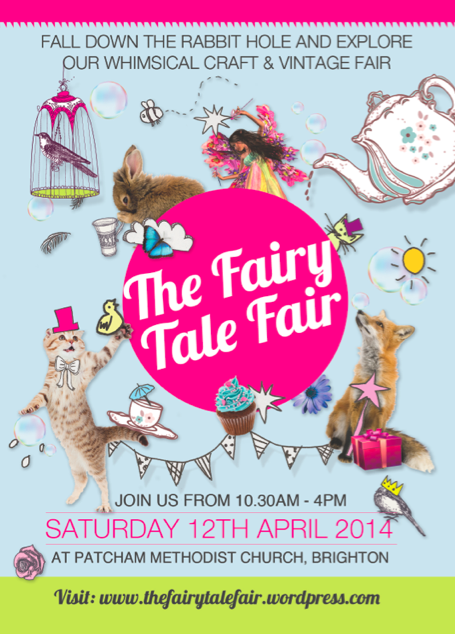 The Fairy Tale Fair is just one week today! How time flies when your a fairy with lots to do! 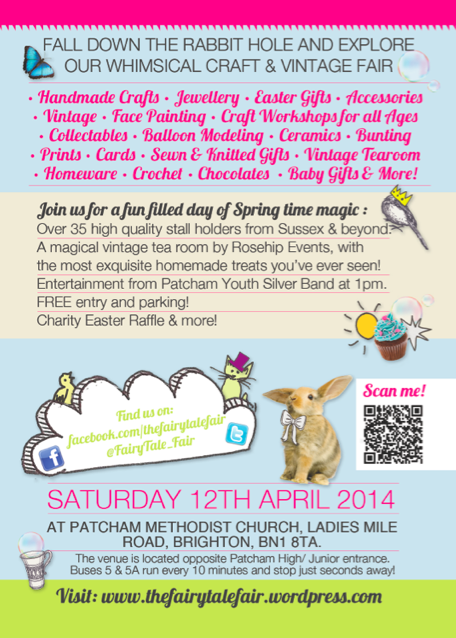 Hope lots of you can join us next Saturday 12th April for lots of craft-y fun! There will be over 35 craft & vintage stalls from local designers & makers, a wonderful vintage tearoom with lots of Easter treats, face painting, charity raffle for The Martlets and much more! Find us at Patcham Methodist Church, Ladies Mile Road, Patcham, Brighton, BN18TA. Full contact details here. Open 10.30am-4pm. Like the sound of it!? Please share with all your friends and bring them along on the day!